Any way you examine it, Microsoft Azure is a game changer. Shortly after its introduction in 2010, it quickly became the world’s number two cloud infrastructure platform, and its 124% year-to-year growth rate leaves all other contenders far behind. But it’s the sheer breadth of capabilities Microsoft brings to Azure that has caused the largest impact. Platform as a Service (PaaS) environment allows developers to more easily publish and manage websites. Azure’s AppServices are equally adept at creating mobile applications in a wide variety of open source scripting languages, and a range of file transfer and push technologies. SQL Database as a Service is unique to the Microsoft Cloud, as the ability to effectively manage relational databases is ever more important in a Big Data-driven business environment. The storage capabilities within Azure make for durable, highly available, and massively scalable cloud storage. 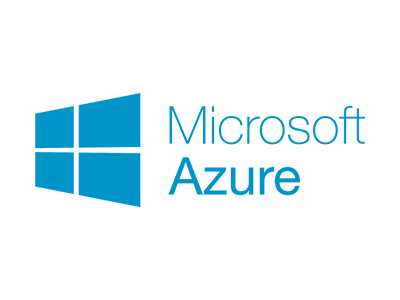 Azure’s suite of Cloud Services empowers clients to create highly available, infinitely scalable cloud applications and APIs. DocumentDB is a managed NoSQL document database as a service. Azure Active Directory makes it possible to synchronize multiple on premise directories and enable single sign-on. To top it all off, they offer simple and reliable server backup to the cloud. All told, Microsoft Azure offers 67 different products and services. How many of them are right for your environment? Which specific ones can make your company smarter, faster, more secure, and more efficient? We know this stuff because we breathe it every day. Our exclusive CTM framework means we work with you to uncover what you want to be able to do, and only then do we set about fashioning a cloud strategy to help you achieve it. We know which combination of those 67 Azure applications will get the job done, and then we manage it to make sure you’re truly getting the outcomes you’re paying for. Migrating to the Microsoft Cloud is the right move for many organizations. But Azure’s Platform as a Service virtual environment is only the tip of the largest iceberg in the industry. Your company deserves more than that. Wading into a large public cloud without an experienced guide at your side is a dangerous undertaking. Let SLPowers take the mystery out of the Azure / Microsoft Cloud environment, and structure a set of solutions that enable you to take maximum advantage of all those capabilities. Contact us today, and let’s explore how the cloud is supposed to work.